Stanley Builders specializes in demolition and installation of new tub/showers with Cultured Marble walls and counter tops. 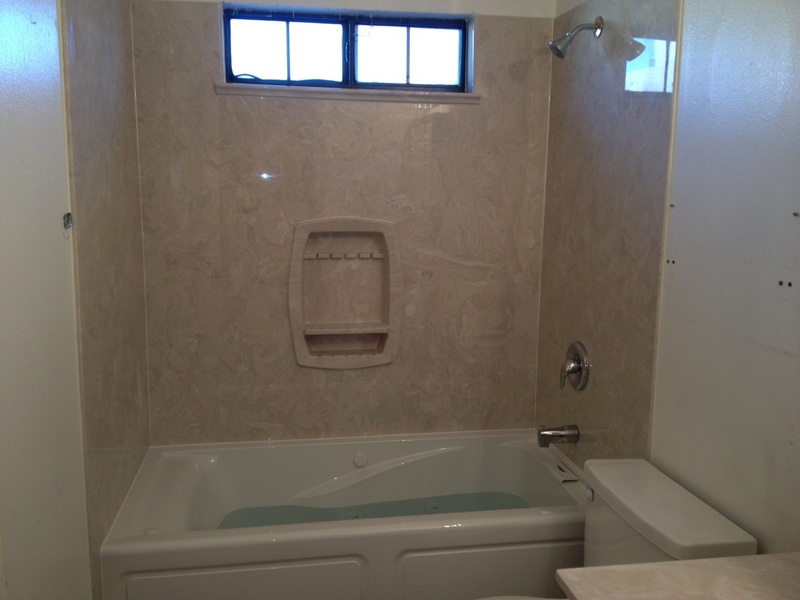 We will cleanly and carefully remove your old tub and shower. 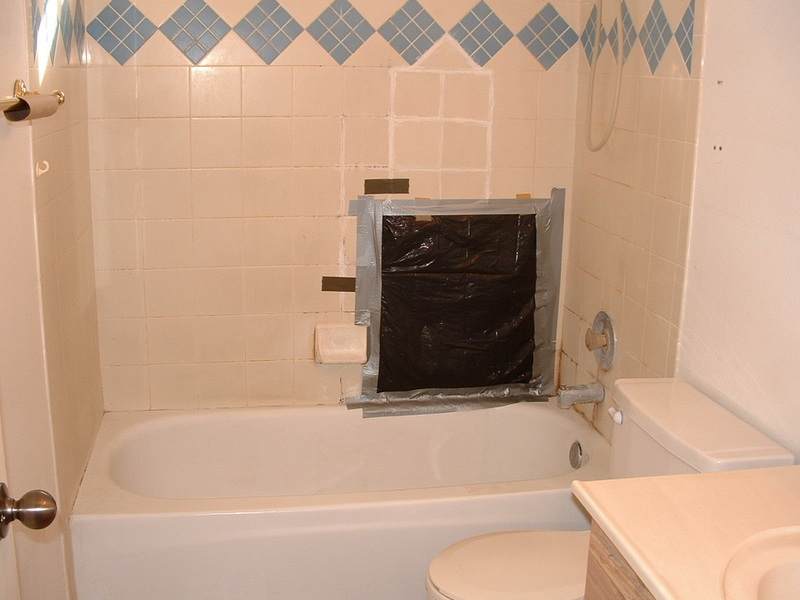 Then install a new Chrome Moen tub and shower valve (or just shower valve) and move the drain if needed. Install a new porcelain over steel tub. (Whirlpool tub shown in pictures not included in price). Install new 2 x 4's if existing lumber is rotted or damaged, insulate the walls and install new moisture resistant drywall. New Cultured Marble shower walls will be installed with your choice of color. This is 100% better than going with the other guys that just put a plastic liner over your old tub and shower to cover the mold and mildew. We can do all this in a standard bathroom for about $2,200 in as little as 3 days. Call Stan at 505-220-0962 or fill out my contact form. Copyright © 1996-2019 - Stanley Builders - All rights reserved.